With its 2100 acres Bois de Boulogne is the 2nd biggest park in Paris. It is located between the western suburbs and River Seine. The area used to be the hunting ground of the French kings until it was turned into a modern park by order of Napoleon III. During the day, this space is perfect for family and sport activities. 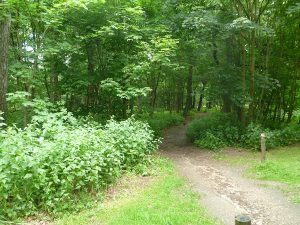 It offers playgrounds, picnic areas and a boat hire on Lac Inférieur as well as 9 miles of cycling routes and 17 miles of bridle paths. You can take a break at several restaurants and fast food stalls all around the park, such as Châlet des Îles on the island in Lac Inférieur. Here is where you find the museum Fondation Louis Vuitton – a building of extraordinary modern architecture which was designed by Frank Gehry and hosts different fine-art exhibitions. The zoological garden called Jardin d’Acclimatation is located right next to the museum. It offers theme park attractions like pony rides in addition to a cultural program and a marvelous landscape. Most of the central part of the park consists of wooded areas and the two artificial lakes, Lac Inférieur and Lac Supérieur. Those are popular with their running and walking paths. Boats can be hired on the north-eastern shore of Lac Inférieur. Located in the heart of Bois de Bologne, Pré Catelan includes the Jardin Shakespeare. Jardin Shakespeare hosts a large collection of plants mentioned in Shakespeare’s plays as well as Théâtre de Verdure which is turned into Paris’ largest open air theater in summer. The botanical garden Parc de Bagatelle is in the north-west of the area. This park is especially beautiful because of the interplay of its magnificent landscape, wildlife, its Anglo-Chinese pagodas and the Château de Bagatelle built in the 18th century. 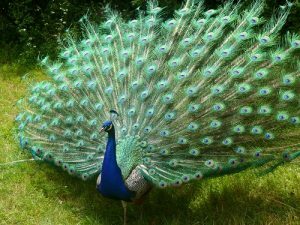 Watch the colorful peacocks roaming between huge trees and beautiful ponds! Make sure you don’t miss the fabulous rose garden with its 10,000 rose bushes where exhibitions, events and classical concerts take place in summer. In fact, you can find sports fields in all corners of the park, for example basketball, hockey and rugby fields or a bowling pitch. Though, most of them concentrate on the southern and western part. Besides, there are hippodromes and tennis stadiums at the southern end. 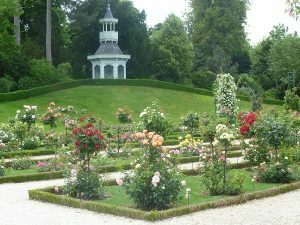 Apart from the sports activities you can go for a stroll in Jardin des Poètes or the botanical garden Jardin des Serres d’Auteuil where you can admire numerous species of tropical plants. 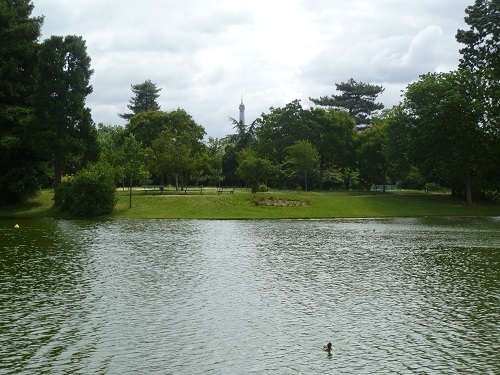 You can reach Bois de Boulogne easily by using public transport. Bois de Boulogne is served by metro lines 1 (Porte Maillot), 2 (Porte d’Dauphine), 9 (Michel-Ange-Auteuil) and 10 (Porte d’Auteuil) and the RER C (Avenue Foch, Avenue Henri Martin). You can also use the bus lines 32, 52, 63, 73, 82, 241 or 244 which serve stops on the borders and those inside the area. In case you plan to go there by car, there are several roads crossing the park. You can leave your car at one of the car parks inside the area so that you don’t have to walk all the way from the entrances to your destination. If your time is limited and you don’t want to spend a whole day in the park, we would recommend to go by bike and explore the cycling paths in Bois de Boulogne. You can either use your own one or borrow a bicycle from one of the numerous Vélib’ stations all around the area. If you are not able to use Vélolib’, there are two bike hires (av Mahatma Gandhi, av Foch). Of course, there are wonderful walking paths, too. If you would like to visit the park on foot, make sure you have enough time – the park is large! Stroll around, relax on a bench at the lake and enjoy the fresh air! Public drinking fountains are provided so that you don’t have to carry heavy bottles. Please take note that Bois de Boulogne turns into a red-light district at night, especially along the Allée de Longchamps! Before your visit, download a map of the park in order to find your way more easily. Think about what you want to visit and plan your route in advance. The area is large! Please be aware that there may be fees for entrance and activities in the different gardens. 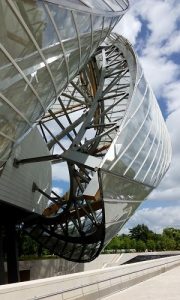 Several websites located the Musée en Herbe inside Bois de Boulogne. It is not! In fact, the museum is located in the 1st arrondissement. Its current exhibition is called “Hello, my game is…” – a contemporary art exposition about video games.